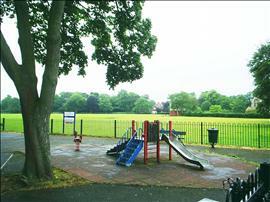 RESIDENTS have made it clear that West Byfleet playground should not be moved, says one of the village’s independent councillors. John Bond is questioning why Woking Borough Council is consulting local people on proposals to relocate the play area in the recreation ground. There are two choices in a consultation which has been prompted by Marston’s, the brewery conglomerate, changing its plans to build a pub-restaurant on the land.